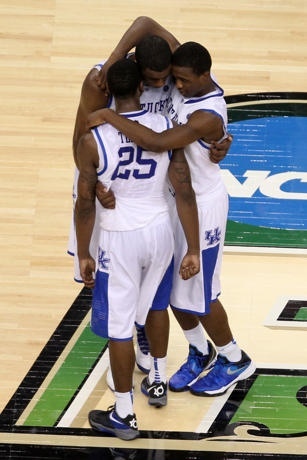 The Kentucky Wildcats are one win away from a National Championship! In the first Final Four game Kentucky withstood several Louisville rallies to take down their in-state rivals 69-61 and advance to Monday’s title game. National Player of the Year Anthony Davis led the cats with 18 points and 14 rebounds. Darius Miller added 13 points.